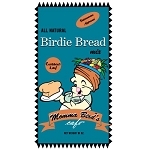 Birdie breads offer a wholesome alternative to table foods and lets your birds enjoy some "baked goodies" along with the rest of the family. 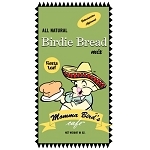 Birdie breads can also assist in converting birds to a pelleted type diet. 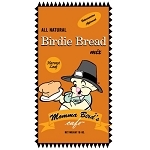 You can add crushed or mashed pellets to your bird breads, and also supplements and vitamins. 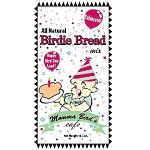 Birdie breads are also a great way to boost nutrition and feather health by substituting Sunshine Factor or AviGlo palm oil for any oil in the cooking recipe. 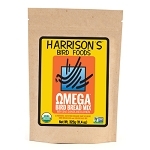 Give your birds a try on some healthy millet/flax recipe Harrisons or Momma's Fiesta Loaf! 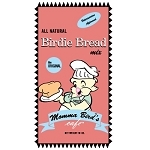 Spice up dinner time!